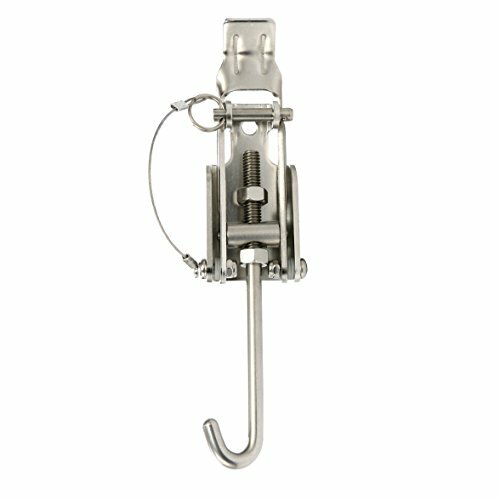 Amarine-made 316 Stainless Steel Anchor Chain Tension Retainer 8-1/4"x 1-3/4"
Anchor tight and keeps it snug against its roller. Cam action creates up to 200 lb. tension with minimal effort. Use with windlass, anchor rollers and anchor mounts. For anchors to 90 lb. Dimension: 8-1/4"L 1-3/4"W .
Body Base Constructed with 316 Marine Grade Stainless steel with 304 Stainless Steel Pull Pin. If you have any questions about this product by Amarine-made, contact us by completing and submitting the form below. If you are looking for a specif part number, please include it with your message.